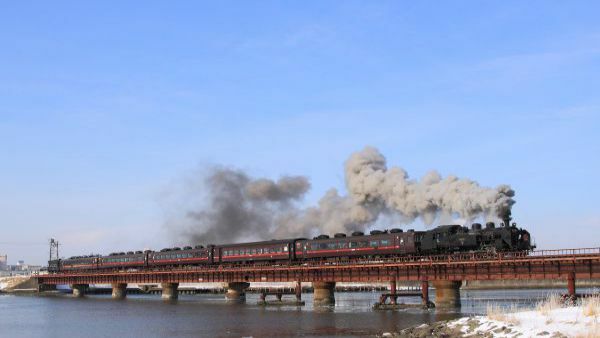 In first place is the SL Express, offering excellent views of the idyllic Oigawa River landscape. 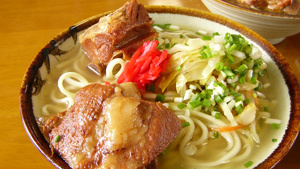 The trip from Shin-Kanaya to Senzu Station takes approximately one hour and 20 minutes. The cars preserve their retro feel with seating unchanged from their original days. The boxed lunches available on the journey are also exceptionally good. 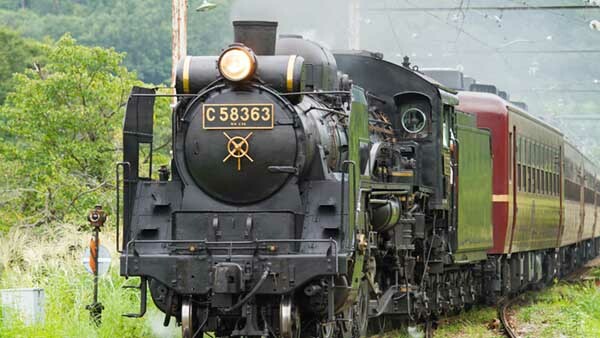 It is also known as the only steam locomotive in Japan that runs almost every day. 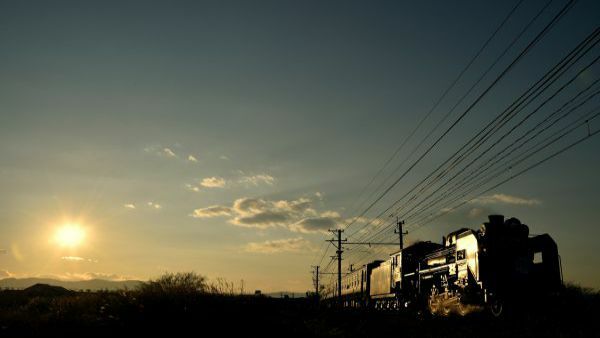 A sense of power and presence completely unlike anything found with the Shinkansen, conventional trains or electric or diesel locomotives! 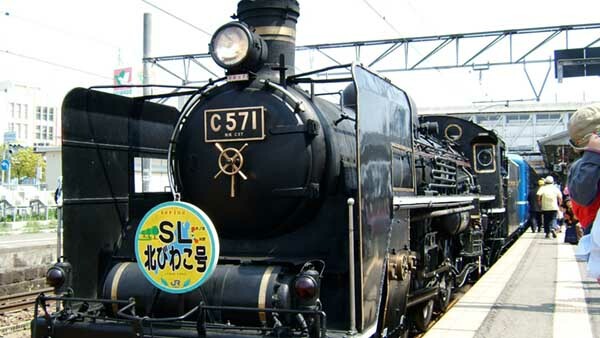 Built in 1937, the Steam Locomotive Yamaguchi is a steam locomotive that was subsequently retired and was then restored in 1979. 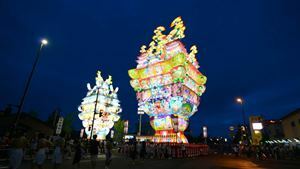 Featuring a five-car configuration, it takes approximately two hours to make the 63-kilometer one-way journey from Shin-Yamaguchi to Tsuwano. 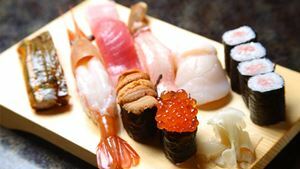 It operates on Saturdays from March through November. 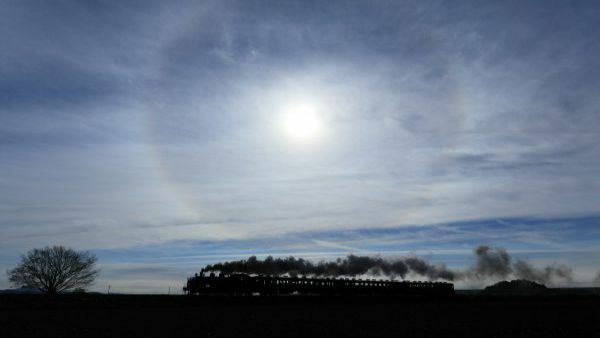 As a child, we had contact with steam locomotives on a daily basis, in the city as well as the countryside. 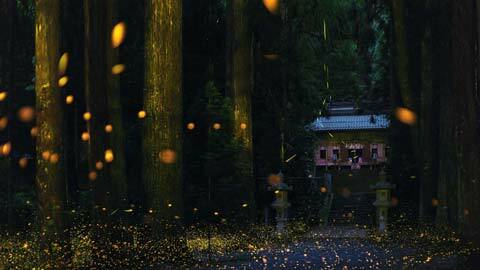 For me, this represents my sense of nostalgia for the Showa Period. 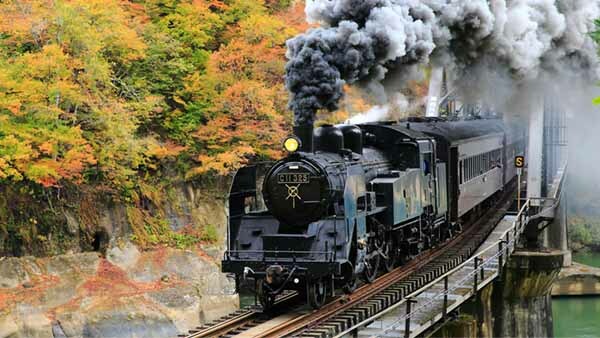 The final steam locomotive retired from operation on the Banetsu West Line in 1969 was brought back into service in April 1999, with its nostalgic whistle echoing along the Banetsu route. 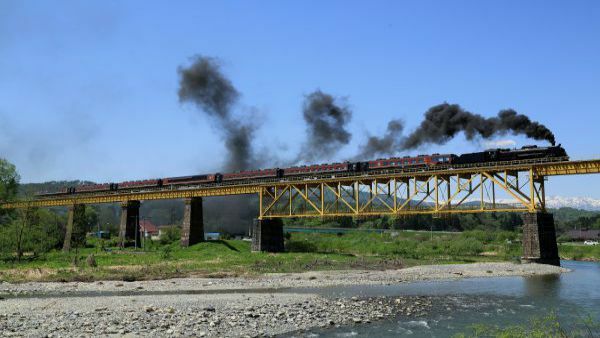 It runs between Niigata and Fukushima's Aizu-Wakamatsu on Saturdays and holidays from April through September. 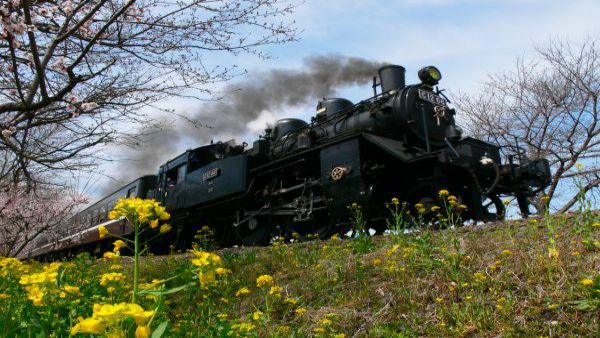 From the days of its original operation through its retirement to its return and operation today, this steam locomotive has been loved, adored and treasured by the people of the region. 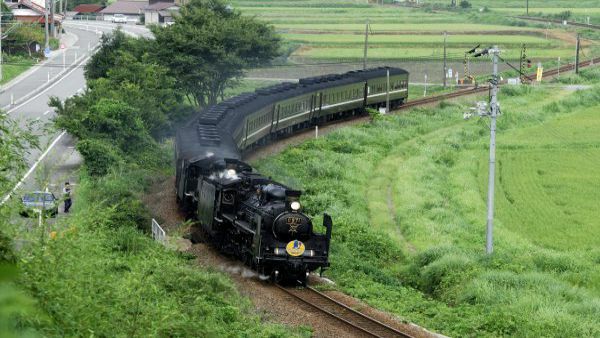 This sightseeing train began operation on the 100th anniversary of the full opening of the JR Hisatsu Line. The classical interior features a viewing lounge and a buffet. 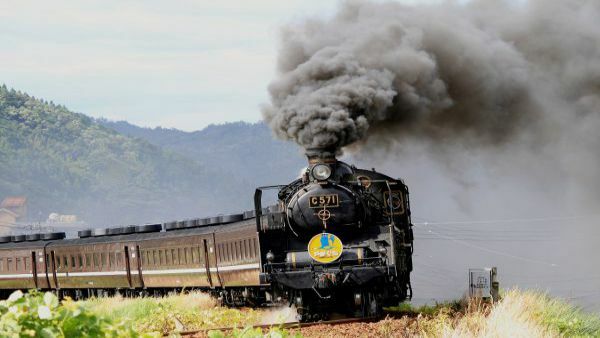 Passengers can enjoy the sights of the majestic Kuma River Valley coupled with the sound of the whistle. 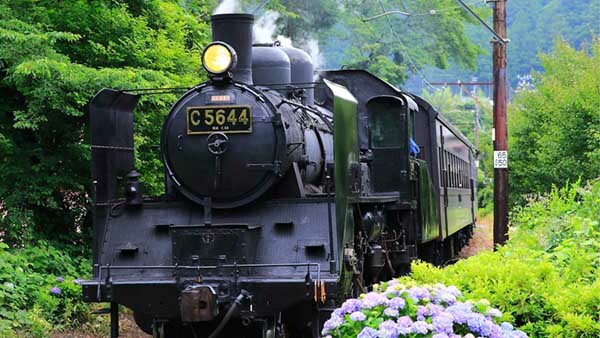 The train operates on Saturdays and holidays from April through November. 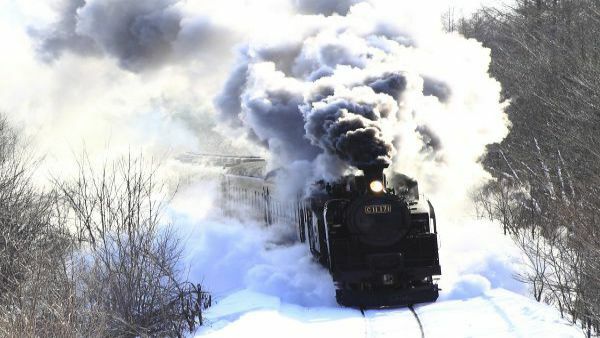 Steam locomotives were a common sight for children of my generation. The sounds, the smells, the feel... it reminds me of my father. The true enjoyment comes not from getting somewhere, but from the journey itself. 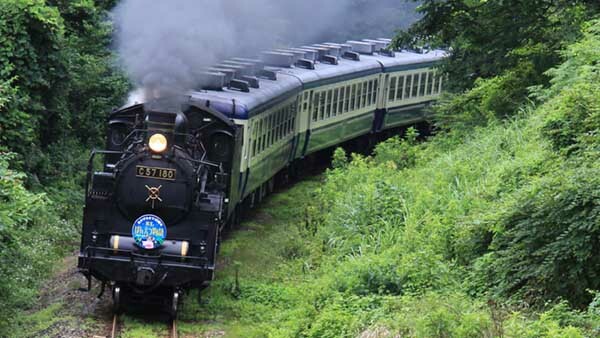 This special train runs only in January and February on the Senmo Main Line between Kushiro Station, Shibecha Station and Kawayu-Onsen Station. 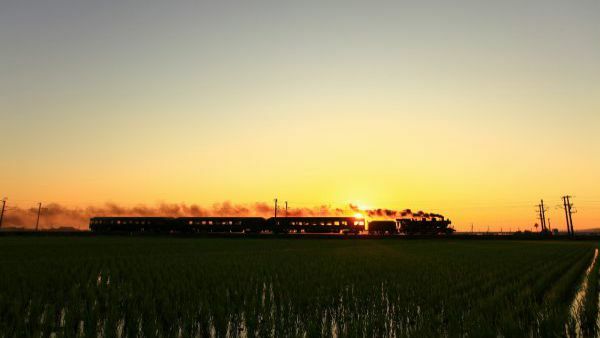 It is a fantastical sight as it cuts through the snowy landscape, offering views of the cranes and other wild animals of Kushiro. 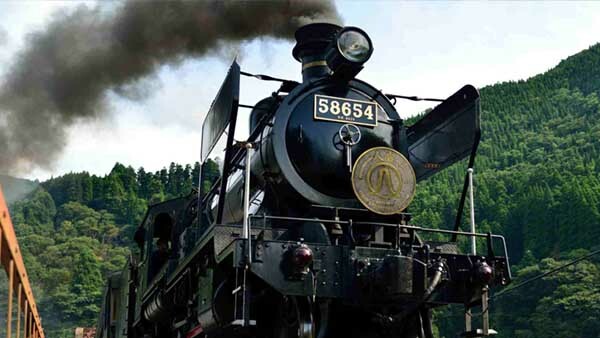 Steam locomotives are great for getting into the mood of a trip as you travel! If only the trip could be longer! 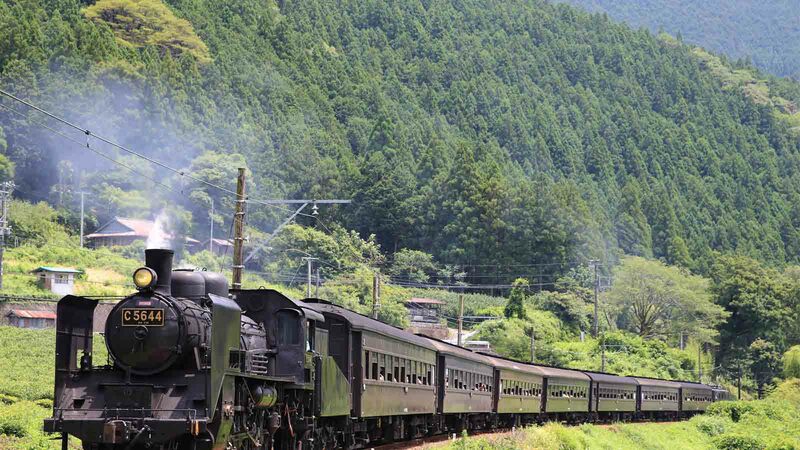 This train runs on Saturdays and holidays from April through early December between Kumagai and Mitsumineguchi, a trip of approximately two hours and 40 minutes. 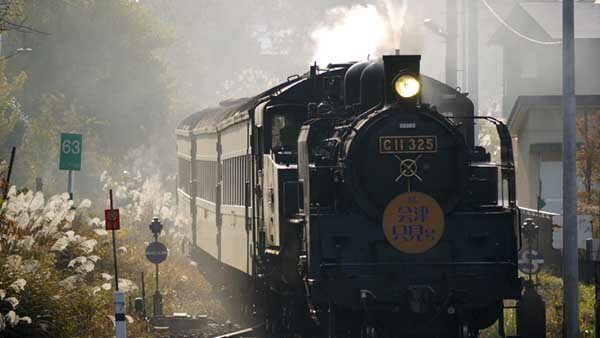 There are also many sightseeing spots along the route, such as Nagatoro Line Kudari (River Boating) and Shibazakura (Moss Pink) Hill, and the train's reputation as "the closest steam locomotive to Tokyo" also has it bustling with passengers. There were quite a few people waving and taking photos along the route. 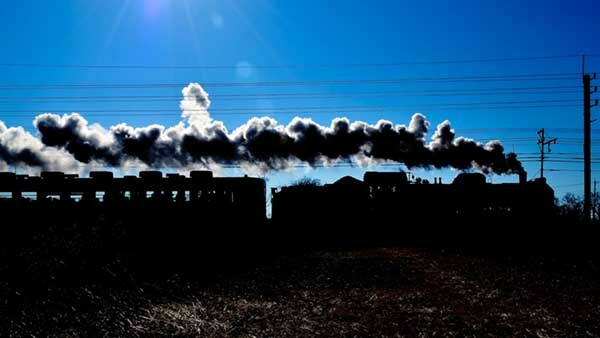 Even when viewed from outside, steam locomotives are a beautiful and nostalgic sight. 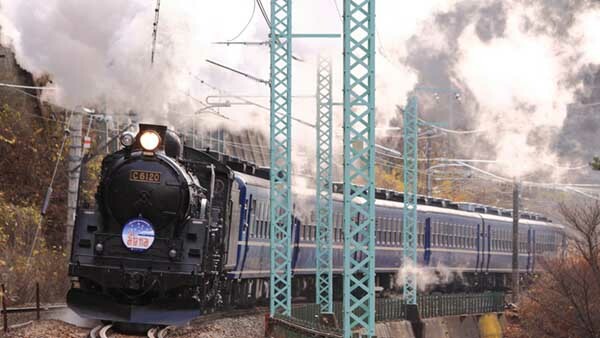 This train serves the Joetsu Line between Takasaki and Minakami Stations during the tourist season and on Saturdays and holidays. 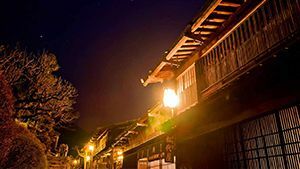 It's a great opportunity to explore the area around Minakami Station, visit places such as Suwakyo Bridge and take a day trip to a hot spring. 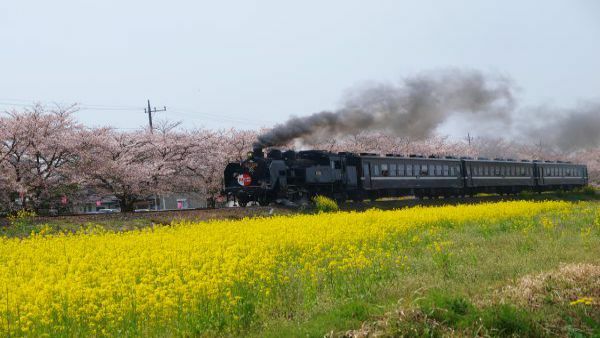 The beautiful scenery combined with the whistle of the locomotive along the journey from Takasaki to Minakami was a truly wonderful experience. 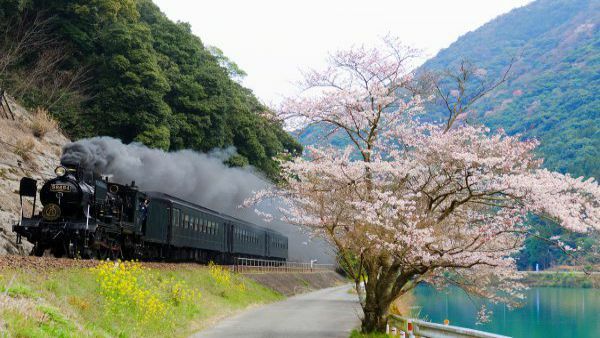 Linking Shimodate, Moka, Mashiko and Motegi, the Moka Railway was a cotton-producing region in the Edo period and was also known as the "Cotton Way." 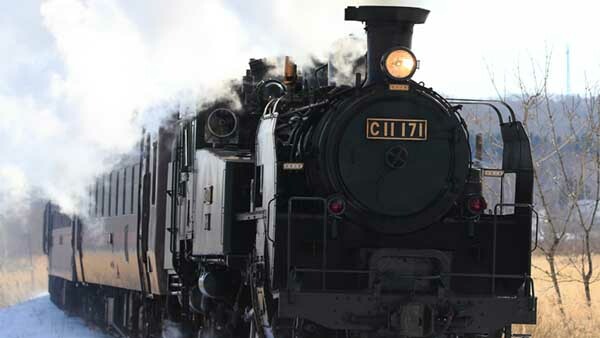 The locomotive makes one round trip each Saturday and Sunday throughout the year. Little things available (like hats) allow you to take photos of your children pretending to be engineers and conductors. 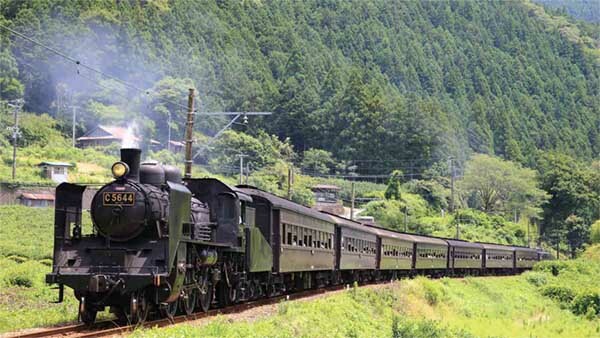 This train runs on the Tadami Line from Aizu-Wakamatsu to Aizu-Kawaguchi. 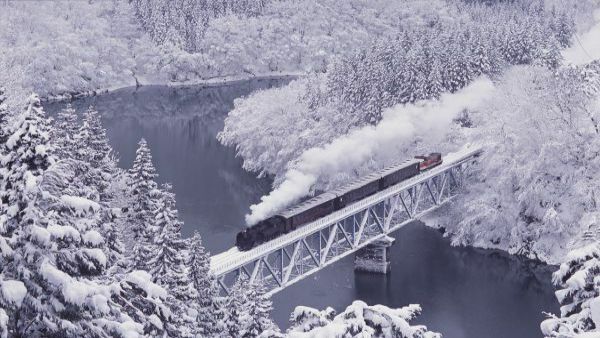 The view of the Tadami River Valley as it crosses the bridge is simply breathtaking. 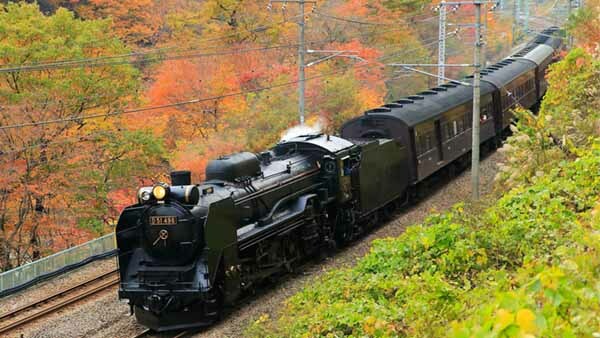 It runs during the budding season of early summer and the fall foliage season of October and November. 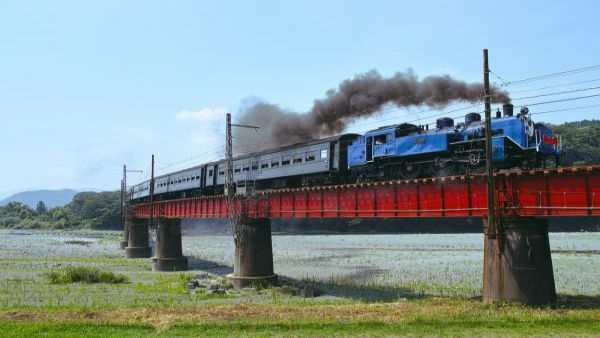 This train evokes childhood memories. You can connect with the movement of the wheels just as though they were the movements of a person. 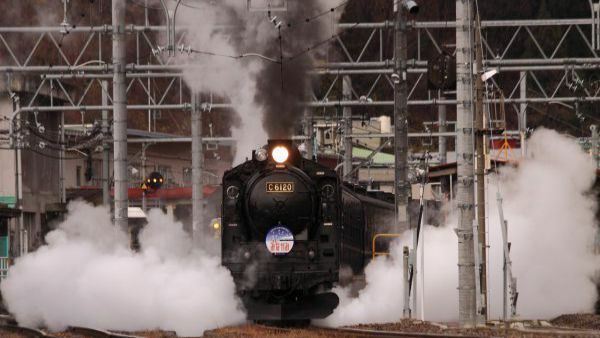 Running 22 kilometers from JR Maibara Station to Kinomoto Station, this train runs on an irregular basis throughout the year. 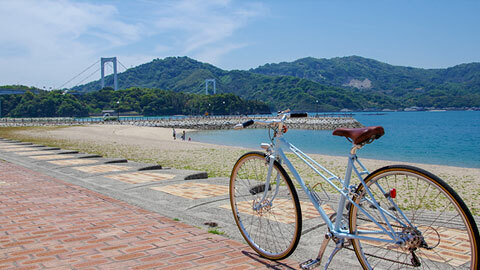 It is a perfect opportunity to enjoy the incredible natural beauty in the Kohoku area near Lake Biwa and Mount Ibuki and visit the historical spots around Nagahama and Kinomoto. 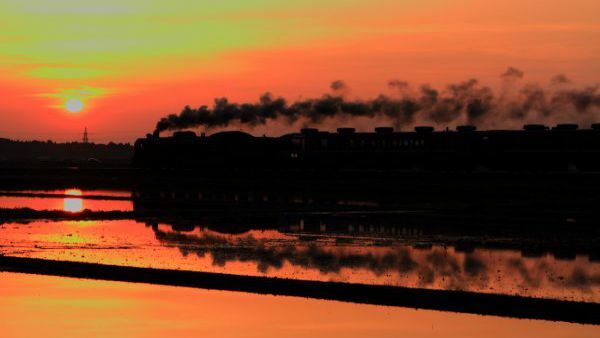 There is a certain feeling of luxury that comes with intentionally taking a slow train. 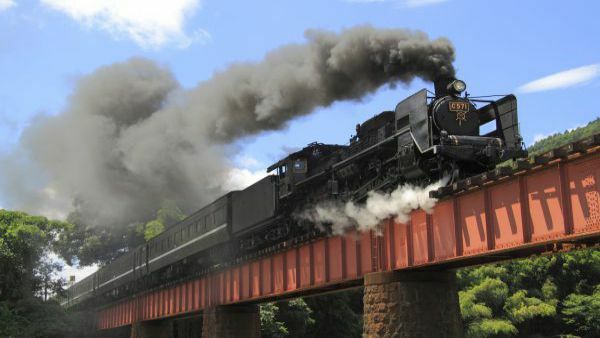 *This list was created by ranking the steam locomotives that received the most votes in answer to the question "Which steam locomotive are you the happiest you had a chance to ride?" 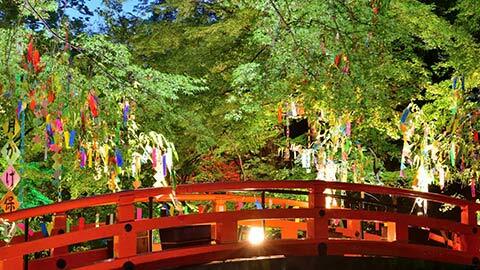 in a survey conducted among readers of the Rakuten Travel News email newsletter (total number of votes: 2,936).